Alex Stow and his twin brother, Aaron Stow face an ugly betrayal on this exciting creative adventure. Alex is thirteen and Alex knows that he will be an unwanted, but his brother is hoping that he will become a wanted and go to Wanted University in Quill. Alex has curly brown hair, and he has an outgoing creative mind. In Quill, creativity is a death sentence and you will be executed. Alex soon discovers a place called, “Artimé” a fantastic world full of creativity…and mischief. He also meets some new friends on the way. When they meet Mr. Today, a kind, understanding man, they find themselves happy to live in the mansion he owns. They will soon find out how they will defend themselves using the magic of art, including theater, dancing, music, and art itself against Quill. Alex will unravel the truth that has been kept from him and his family in Quill. With the help of his friends, Alex will be able to face the most challenging obstacles. Alex uses his gift to defend the lovely land of Artimé, and all the creatures, statues, and people who live in it. Alex discovers his connections with his brother and so does Mr. Today. Alex makes new friends and new enemies. Later on Alex realizes that he does not need his brother and family he already has a family in the wonderful, mystical world of Artimé. He also learns to not hold on to something he cannot keep forever. Alex and his friends will soon come face to face with their most cruel, betraying enemies. Alex and his friends have an amazing adventure in the world of Artimé. An extraordinarily fun adventure happens all in the pates of this book. Magic is mixed with fantastic creatures and mystical statues in it. The book will have your mid go racing with ideas of your own and creativity jumps out at every page. It is an exciting, new adventure with imagination running wild right before your very eyes, all you have to do is read the marvelous book. I enjoyed the book very much; it is a very fun, hilarious, fantasy book. You will not forget the amazing creativity you will experience. It is full of interesting descriptions you could picture very clearly in your head that is if you have the creativity that it takes. 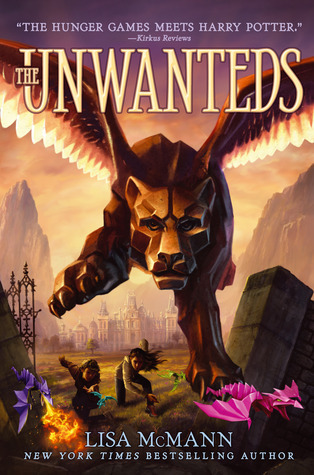 Unwanteds takes you to another level of crazy, cool fantasy and it will have you on the edge of your seat. I like that it had magic and mystery in every single pate. I recommend it to those who love, “Harry Potter” and, “The Hunger Game”. I also recommend it to my teacher and fellow classmates who love to read fantasy and mystery. This book also reminded me of “Percy Jackson”.